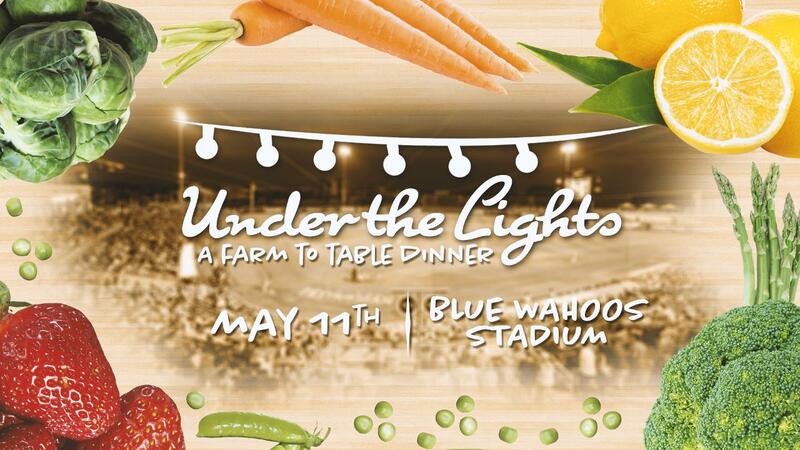 Blue Wahoos Stadium will host its second annual "Under the Lights: A Farm to Table" dinner experience on Saurday., May 11th from 7:00-9:00 PM. A limited number of tickets for the event will go are on-sale now and are expected to sell out quickly. The spring event follows the sold-out inaugural Farm to Table dinner hosted on the field last fall. Tickets for the inaugural Under the Lights Farm-to-Table Dinner are priced at $125 and may be purchased at the Blue Wahoos Box Office, located at 351 W. Cedar St., or through this link!